I may be biased, but as a would-be novel writer, my opinion is that prologues are pretty much unnecessary, especially when they’re necessary. If you need twenty pages to lead into the main story you’re trying to tell, then you need to find a way to give us that information within your story, not force your reader to slog through an information dump before they get to the good stuff. The reveal of information can and ought to be organic. A prologue, if it really needs to happen, should only be one or two pages, and reveal exactly enough to gives us a dark sense of foreboding. Ironically, Twilight does this really well; we get a snippet of the climax, with Bella fearing for the end of her life but feeling it was worth it, to find love or whatever. It’s not a well-written scene, but it’s mechanically effective. Personally, I feel “Context is For Kings” acts as a much stronger pilot. Learning Michael Burnham is a mutineer from her reputation, only to later learn the complicated circumstances surrounding her mutiny, could have had an immense impact. While the pilot lent strength to some interpersonal moments in “Context,” the scenes involved were also strong enough to stand on their own. And honestly, the pilot we saw wasn’t the best introduction to Michael Burnham. She’s in the greatest crisis of her life, so her emotions and motivation jump around. She’s hard to get a grasp on in the pilot, whereas in “Context” her motivations are simpler, clearer, with a straighter through-line. Michael was likeable in the pilot, but “Context” helps make her more understandable. If I were the showrunner and I was looking at these scripts, with a fifteen-episode show order from CBS, I would’ve opted to splice in this two-part pilot in the middle of the series, with a framing device, a la “Menagerie Parts I and II” from The Original Series. It’s hard to remember now, with how much they’ve evolved, but the Klingons veer very close to racist characture in The Original Series. This isn’t to say the pilot is some dull drudge. Overall it’s got very strong stuff, and it does benefit us to know certain things, such as why the Klingons are in this war. 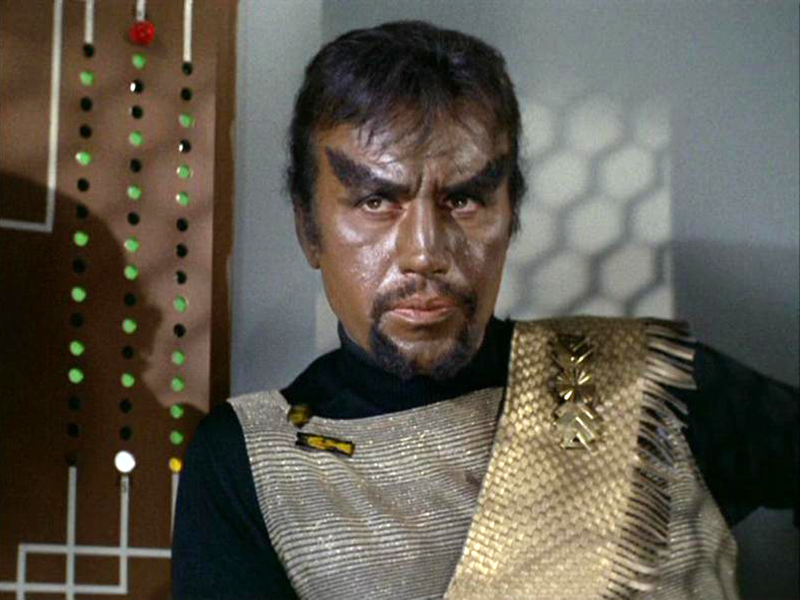 Considering the quasi-racist TOS Klingons, knowing that these Klingons will follow more in the tradition of the later-franchise Klingons is good to know. Captain Georgiou is also an excellent character, and I didn’t regret getting to know her. I just left the pilot confused, and with the sense that this wasn’t at all where the show would really end up. Maybe that was on purpose; Discovery has been primed as Game of Thrones or Walking Dead-style prestige TV, complete with aftershow and an edict on spoilers. It could very well be that they mean to keep us off-balance for much of the show, to keep us guessing about what’s really going on. “Context is for Kings” didn’t alleviate all of the guessing games, but it does give us a firmer footing to try to see what the future of the show will be. 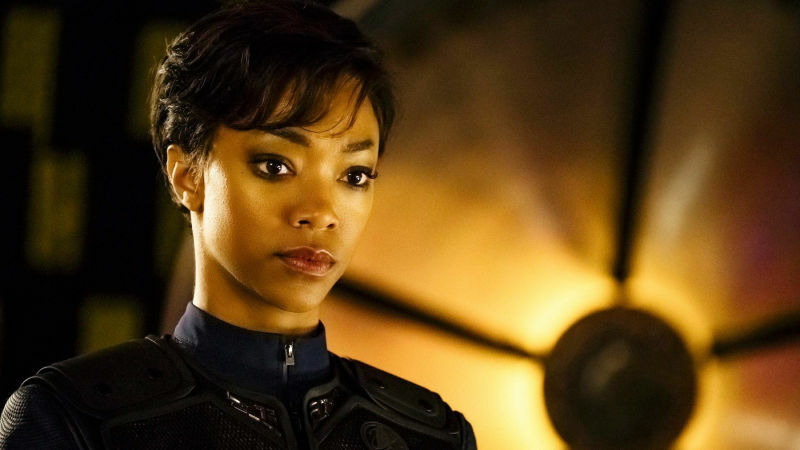 As Michael Burnham is folded into Discovery, we get a sense of what might look like her regular days, what the plot’s thrust may unfold like. She’s got colleagues in Cadet Tilly and Lieutenant Stamets, an adversary in Commander Landry, and very, very complicated relationships with Saru and Captain Lorca. 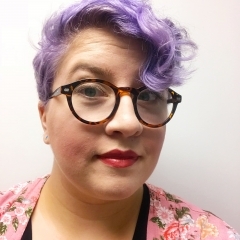 If we can trust “Context,” we can guess that this show will be about how no one in war is perfect, and the difficulty of being imperfect people in a warring utopia; the difficulty of knowing what will win the war and knowing how much it will cost your soul. These are fascinating themes to explore, and Star Trek has already dipped its toe in these waters with the later seasons of Star Trek: Deep Space Nine. Discovery seeks to update this for modern TV, to take advantage of being on an unrated streaming service in the golden age of adult television to tell a darker, more complex story than Star Trek’s been able to do before. If they’re able to pull it off without losing sight of Star Trek’s core ideas, then it’ll be a fantastic addition to the franchise. 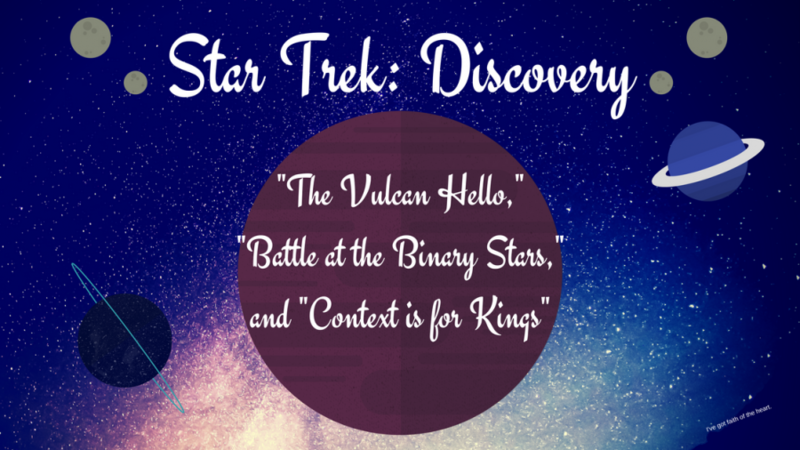 Speaking of core ideals, “The Vulcan Hello,” “Battle at the Binary Stars,” and “Context is for Kings” all did a passably fine job at feeling something like Trek. I think one of the things that defines Trek is not necessarily that characters always do good, but that they always know what good is. Good can be a concept that goes outside the boundaries of law–James T. Kirk and Michael Burnham both understand that well. But generally, our Starfleet heroes each have a sense of good, and are working towards it with varying success. Discovery is very successful at weaving this narrative thread. I enjoyed the character interactions quite a bit, too; Modern TV overall is very successful at playing very different characters off each other, and this show is raring to bring that to Trek. Where I think Discovery has failed is at the Treknobabble. Yes, the Treknobabble! For those not in the know, “Treknobabble” is a term coined for the science that moves the plot forward in any given episode of Star Trek. (In all other fiction, it’s just “technobabble.”) It’s generally incomprehensible, thus babble, but also sounds just legitimate enough that the viewer is able to follow along with what’s happening and why. They often even use real science to legitimize their fake science. An example of Treknobabble is explanations of warp, which is a style of movement that allows starships to travel at factors closer and closer to infinite velocity. In reality, people who regularly travelled at warp would age very, very slowly, because special relativity means you experience time more slowly the faster you’re moving. This happens even at relatively slower speeds–Scott Kelly came back from a year aboard the International Space Station two hundredths of a second younger than he would’ve been had he spent the year on Earth, and if he had moved at the speed of light for the whole year, he would’ve been about 50 years younger than his own twin brother. We also don’t currently have the technology to build anything that would be able to stay together at those speeds. Warp needs to exist in the show because space is big, and it can’t take weeks for our heroes to get to the next part of the plot. So the characters will occasionally babble about the “warp field” that keeps the ship from falling apart at warp, and it generally sounds legitimate enough to pass. With well-established fake science, like warp and transporters, writers will often come along and write stories specifically taking the Treknobabble and running with it as if it were real, which allows a whole in-universe set of principles to build that help keep the fictional science very real in the viewer’s mind. I can tell you exactly what the Heisenberg compensator on Star Trek’s transporters is for, thanks to the franchise consistently and believably babbling away why its non-science works. Star Trek: Discovery tries its best to continue the long-held tradition of Treknobabble, but it’s just…not really cutting it. In “Context is For Kings,” both Lieutenant Stamets and Captain Lorca try to explain the physics-as-biology thing, but they didn’t quite make me believe that they could make ships go all the way to the Beta Quadrant (spoiler: the characters are already in the Beta Quadrant, so double fail) just on mushroom spores. The idea of making mushrooms vital to an interstellar war effort is hilariously Star Trek, but unless they explain it better, I’m going to roll my eyes at it going forward. The characters are going to be the strongest element of this show, I think. I read somewhere that fans were divided over Saru following the pilot episodes, but I think he’s going to be one of my favorites. My favorite will probably be Cadet Tilly (played by Mary Wiseman), by far. Mary Wiseman is a woman my age who shares some of my interests, so I already loved her a little before her premiere on the show. (What? There aren’t a lot of millenials in Trek, so this is very exciting.) Her performance, which is excellent and instantly endearing, only helps to put her over the top. She’s playing the sort of character that appears a lot in fiction, but she’s putting so much into it that her character feels fresh. 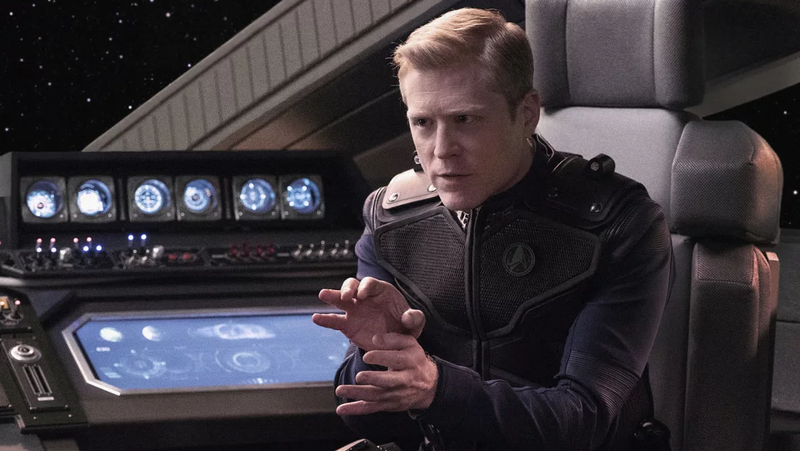 Lieutenant Stamets should get an honorable mention in the good characters department; he’s explicitly complex and unlikeable, but it’s easy to see that he’ll unfold nicely, and he’s already pretty good in terms of a new way for a gay character to exist on TV. As for Captain Lorca…we definitely haven’t seen nearly enough of him to tell for sure where he’s going to land, but the elusiveness is interesting in and of itself. Michael Burnham herself is…magnetic. I don’t feel like I entirely understand her, yet, but her intensity makes her very easy to watch. She holds things very close to the chest in all three episodes, and so I feel we haven’t gotten the full breadth of what she can be. She’s smart like Spock, unpredictable like Kirk, and has a weight to her performance like the greatest characters of the all the other series. With good writing, she too should develop fantastically, and I look forward to becoming more fully invested in her character. I also hope she stays with natural hair for the rest of the series, because it looks awesome on Sonequa Martin-Green. Related note: Michael Burnham’s hair is relaxed in all of her Vulcan flashbacks. Black Vulcans are about half and half when it comes to choosing to relax their hair. So one wonders who chose to relax Michael’s hair as a child–was it Michael, dying to fit in? Was it her deceased parents? Was it Sarek, or even Amanda? I’d bet it was probably Sarek, but my wishlist for this series is to get a scene that directly addresses this. I’d love to learn more about whether Michael’s Earth culture as a black woman clashed with her adoptive Vulcan culture. Star Trek: Discovery is in a promising place. It took a lot to find its footing, and it did a lot of things I’m not personally a fan of, but the show is giving off signs that it’s headed for something epic and interesting. Here’s hoping that the show blossoms as it develops into a kickass new entry to the Star Trek canon.